I sometimes feel like a tourist in my hometown when I notice something that I haven't seen before. Despite the fact that it has probably been there for years! 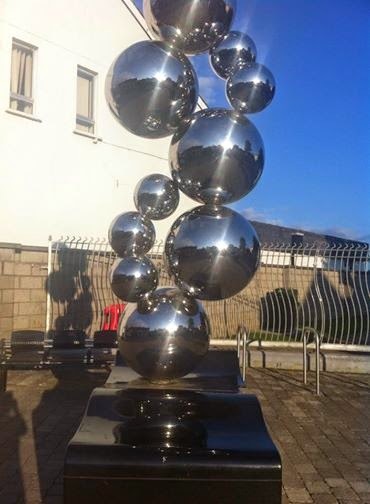 I espied this sculpture outside Mullingar Park the other evening. On closer inspection I read the inscription. 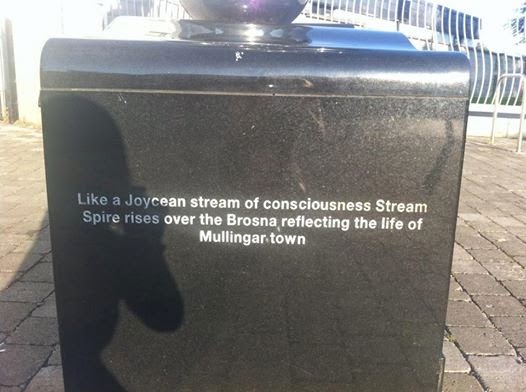 reflecting the life of Mullingar town. Life in Mullingar is best represented by a load of balls?? ?